Drysdale sheep area a dual-purpose breed whose wool is used mainly for carpet manufacturing. They carry the dominant Nd gene, a mutation which occurs in the Romney breed. The Nd gene causes a high abundance of course, very hairy fibers, called halo-hairs. 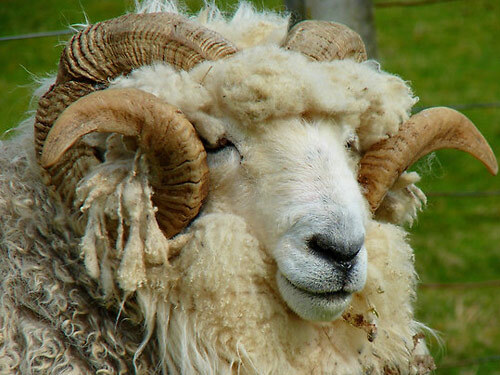 The wool of the Drysdale is without crimp, highly medullated, with a fiber diameter of 40 microns. It is known for its whiteness and dyeing versatility. The Drysdale is found in most environments throughout New Zealand. They are sheared twice a year.